The power cable feed and guide tube combination allows the cable to feed smoothly into the line while keeping your customer’s hands clean and away from the spinning cable. The Speedrooter is job tested tough. 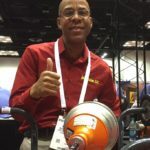 From its frame braced at key stress points, to General’s exclusive Flexicore® wire rope center cable that’s so tough it carries a one year warranty, the Speedrooter can really take a beating. 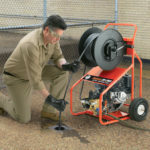 Clears tree roots and tough stoppages in 3″ to 10″ drains. 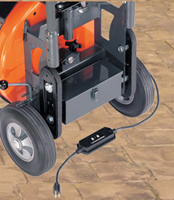 Variable speed Power Cable Feed easily drives and retrieves cable at up to 20 ft/min. 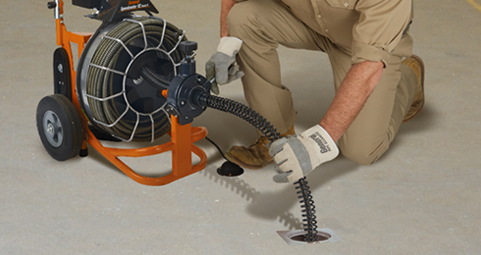 Guide tube reduces cable drag and keeps hands off of rotating cable. 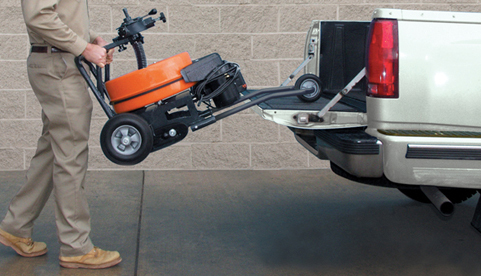 Features stair climbers, 10″ heavy-duty ball bearing wheels, truck loading wheel, and tool box. 1/3 hp motor with momentary contact reverse switch. Drum holds 100 ft x 3/4” or 5/8” cable (30 m x 19 mm or 17 mm). 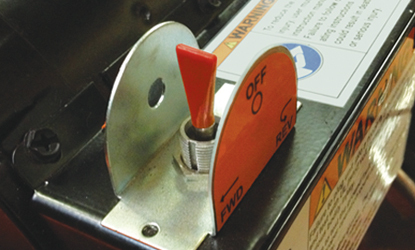 Loosen two knobs, remove ringbolt, and lift off. 1/3 hp heavy duty, capacitor start, thermal overload protection, Forward/Off/Momentary Contact Reverse Switch. 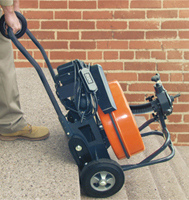 Drives and retracts at variable speeds of up to 20 ft. per minute. 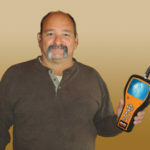 Keeps operators hands clean and off spinning cable. 5 ft. extensions available. 10” Heavy-duty wheels with roller bearings. Attached to rear of machine. Holds all cutters. Left wound Flexicore® wire rope center 3/4” diameter for 4” to 10” lines and 3” lines without sharp bends; 5/8” diameter for 3” to 6” lines.